Red Velvet Cream Cheese Thumbprints by Ashton Swank from Something Swanky. 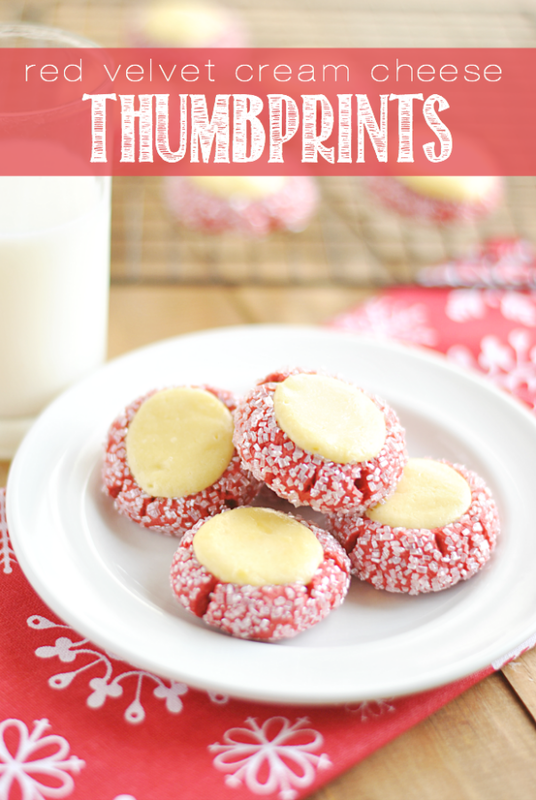 These Red Velvet Thumbprints are a cookie and cheesecake in one! Perfect for Christmas cookie plates and dangerously delicious.